Taglines: Everyone has a wild side. Even a legend. 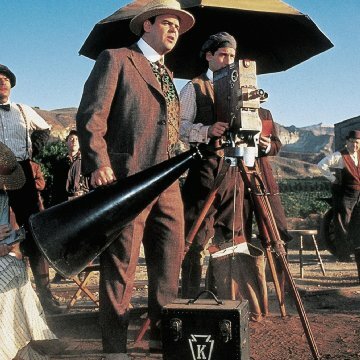 John Goodman and Winona Ryder were attached to this project at one time. Audio/visual unsynchronized: When Charlie's brother and others arrive to whisk Charlie and his unedited film away to Utah, the car screeches to a halt. However, the car is on a dirt track and therefore no screeching noise would actually be created. George Hayden: Ha ha ha ha ha. Come on Charlie stop messing about, we really have to get down to it now. I just hope our friendship survives the day, that's all. Charlie Chaplin: Ha George, don't be so melodramatic. George Hayden: Well it's your autobiography Charlie. And as your editor I have to tell you that parts of the manuscript are pretty vague, to say the least. I mean for instance, your mother. Now when did she first loose control? We need to know those facts. 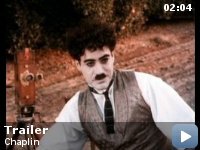 A spectacular portrayal of the unseen life of Charlie Chaplin. 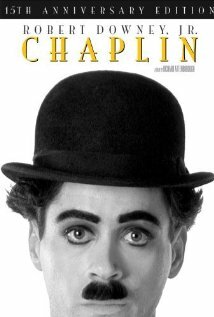 Robert Downey Jr., first of all, portrays Chaplin with amazing accuracy. 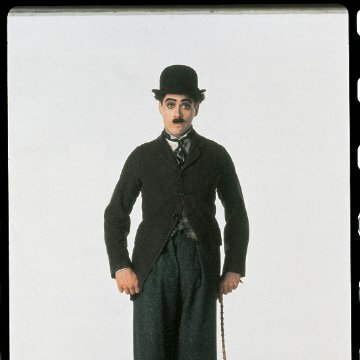 Some parts of this performance are particularly memorable, such as his invention of the famous tramp's walk just after having feverishly picked out the outfit, the astonishingly accurate depiction of Charlie as an old man, and of course, the many parts of the film that involve parts of his life where he was working on his own films. 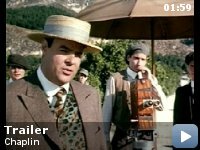 These are clearly some of the most interesting parts of the movie, if only because these films are how we know him, but it is at least as interesting the way that the film hints towards things that happened in Chaplin's life that inspired those films. Very early in the film, we see a scene in which Charlie's mother is booed off the stage by an impatient crowd, so Charlie, who is a little boy at the time, gets on stage to do a song and dance of his own. He performs a song that is very similar to the one his mother performed, but he wins the audience's heart and they respond by tossing coins onto the stage for him. You can't help noticing how this corresponds with the constantly youthful look of the Tramp (in Modern Times, for example, Chaplin was in his late 40s but looked like a teenager), and the coins tossed on stage may have played a significant role in helping him realize that this could be a good way to make money. Charlie moves to America to pursue his dream, and we see the landmark events that punctuated his dizzying rise to stardom. 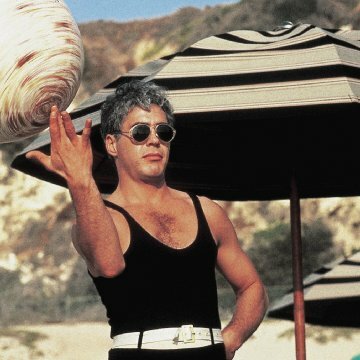 He goes to work briefly on stage and is then hired by Mack Sennett, a gigantic figure in film history, but is unsatisfied because of his own lack of control over his work. It should also be noted here that there is a scene where he is working with director Mabel Normand, who demands acting from him that he does not agree with, and with whom he clashes. In 1914, Chaplin starred in a 9 ½ minute film called Mabel's Busy Day, in which he plays the uncharacteristic role of the antagonist. The Mabel in this film is a sporting event vendor who turns down Charlie's amorous advances, after which Charlie proceeds to steal all of her products and hand them out to anyone standing nearby. Then in 1920, he starred in another short comedy called Mabel's Strange Predicament, in which Mabel is a woman who becomes locked out of her hotel room in her pajamas and ends up avoiding the drunken Charlie for the rest of the film. In both films, Charlie plays uncharacteristic roles, the most unenviable of which was in Mabel's Busy Day, which Mabel Norman directed. Later in the film we see Charlie in a small diner just after having terminated his employment with Mack Sennett, and he meets Edna Purviance in a scene that is reminiscent of his romantic endeavors in such early films as Caught In A Cabaret and, even more so, The Immigrant, one of his most famous early films. There are dozens of other references to the development of his cinematic personality - such as his sudden realization of how to make the Tramp appear rich to the blind girl in City Lights without talking, as well as the dance of the dinner rolls, which Charlie performs here at a dinner at an expensive restaurant - but there is an even more significant portrayal of Charlie's beliefs and his values in this movie that are more recognizable as well as more memorable to people not familiar with his earlier and less known work. Charlie Chaplin was one of many filmmakers' in the earlier times of the medium that resented and disapproved of the coming of sound to the movies. 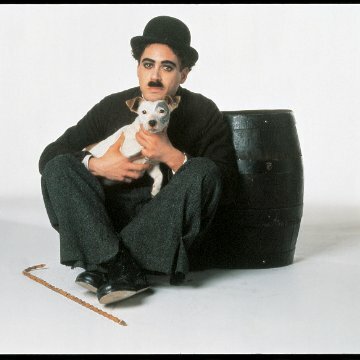 His Tramp remains one of the most recognized figures in the history of the cinema, and it is widely known that the Tramp is an almost entirely silent character, so it is necessary for a film about Chaplin's life to address this in some way, and it is done perfectly here. There is a scene where Charlie's brother is trying to convince him to add spoken dialogue into his films and Charlie refuses outright, giving a hilarious example of a Russian ballet dancer and saying, `The Tramp CAN'T talk. The minute he talks, he's dead.' This is a brilliant way to illustrate Charlie's fondness for the silent film, as well as his knowledge that no voice given to the Tramp would fit his character right. He was too well known to be changed so profoundly. He is always aware throughout the film and throughout his life of the difficulties constantly facing poor people, and he wants to give these people not only an escape with his films, but hope for the future. 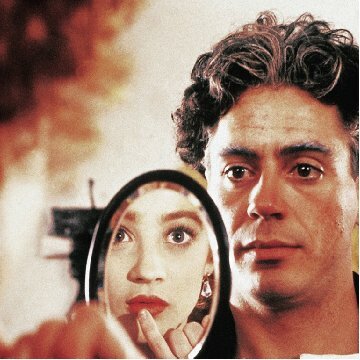 There is a point in the film where Charlie has returned to Europe to see an old friend, and he learns on the train that she has died. He is then asked, `What'll we do, Charlie?' And his answer, although spoken under his breath almost in a whisper, rings louder than anything else in the film.